Located on the main A39 running through the village the Holy Trinity Church is an important landmark within the village with its distinctive church tower. 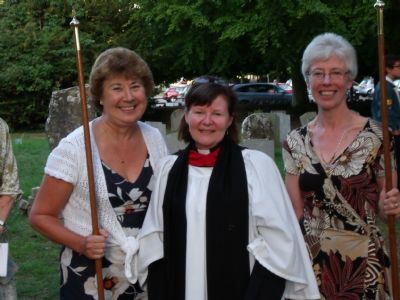 The modern day church such as Holy Trinity has to work hard at maintaining its congregation and uses as many opportunities as possible to interact with local people. Part of this interaction is also to raise funds to enable the church to continue to serve the village. There are regular coffee mornings at the church on Thursdays between 10.30 am and 11.30 am that are open to all.